Here at CanDOO Concierge we pride ourselves on finding you the holiday you've always dreamed of, for the best possible price. 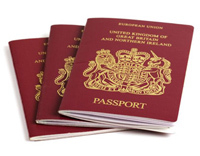 We have over 15 years Travel Industry experience, insider knowledge and know how. Whether you're planning a once-in-a-lifetime trip, an annual family holiday or a weekend away; CanDOO Concierge can offer you a comprehensive range of travel options and solutions. We have a thorough and in-depth understanding of the marketplace; along with Industry-wide contacts and suppliers. We specialise in business and leisure travel; so sit back and relax, while we take care of your travel arrangements. We have a number of hotels and holiday cottages that we're affiliated to. All share the same ethos as ourselves: they pride themselves in offering individual, attentive service; in comfy, home-from-home surroundings. Our partnerships enable us to secure you preferential treatment at a preferential rate, and of course the best room in the house. Our affiliated properties are located throughout Devon and Cornwall. Please contact us for further information and booking details. Winner of the prestigious award 'Accommodation provider of the year 2008, 2009 and 2010', The Alexandra Court with its 15 ensuite bedrooms, brasserie and fine dining a la carte restaurant is a real find. Just 30 minutes from Alton Towers, this delightful hotel is ideally placed to visit Moreton Hall, Jodrell Bank, Gasworth Hall and the Peak District. Set in tranquil surroundings, Nunsmere is a luxury country house in the heart of the Cheshire Countryside. With beautiful gardens and bounded on three sides by a magnificent lake. You will enjoy old world hospitality of the highest order in this grand Victorian mansion. Awarded 4 Red Stars and two Rosettes by the AA. Recently voted Cheshire Life Hotel of the Year. Twice voted County Restaurant of the Year in the Good Food Guide. For accommodation enquiries and reservations please call: +44 (0)1606 889100. We are delighted to provide the Concierge Services for the above properties. Guests can pre-book products and services before their arrival, such as airport transfers, family friendly equipment and toys, concert tickets etc. Or use our "on-call" service once they've arrived and settled in. 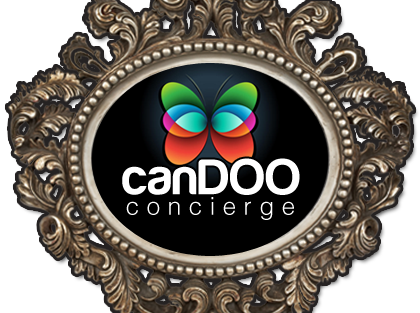 CanDOO Concierge takes care of everything from restaurant reservations and gift shopping, to tailor made excursions and hospitality packages.